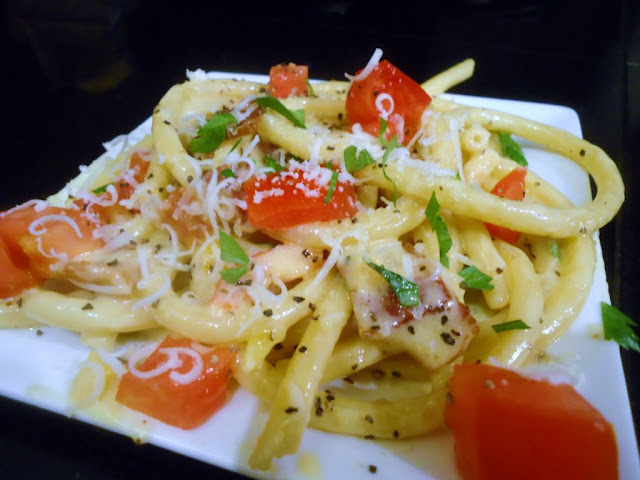 I adapted this recipe from one I found in a 2010 Food and Wine magazine. 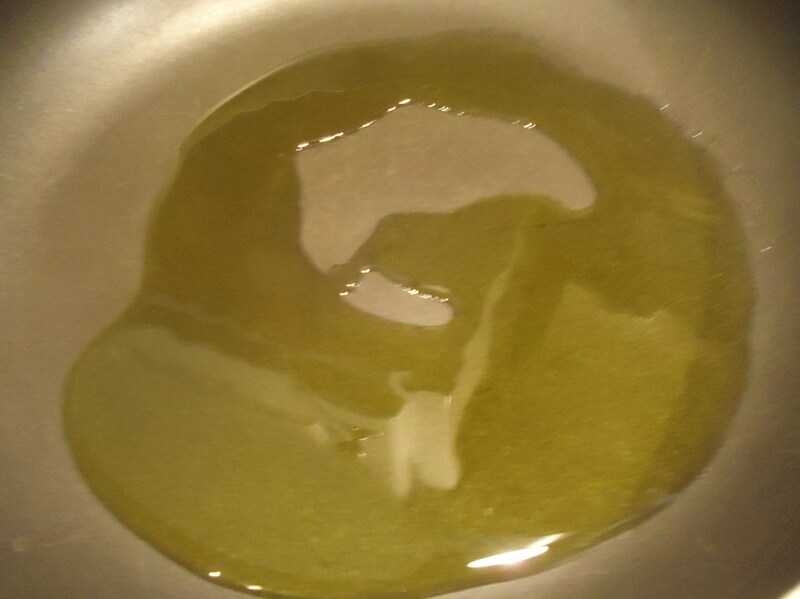 It just looked so beautiful and simple that I had to try it. Of course I changed a few things up, but that's just how it works with me. 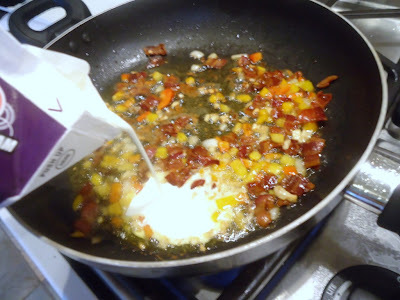 The great thing is that most of this stuff can be found around most kitchens without going to any specialty store. Honestly, it took a lot of courage on my part to do the raw egg yolk part of this. I guess I have raw egg issues... but OH MY LORD... The sauce was SO creamy and silky and smokey... Yum!!! 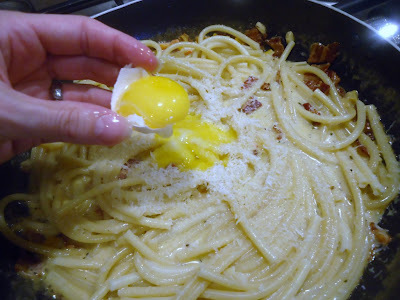 (The egg yolk does get cooked by the hot pasta.) I'll definitely be doing it again! In a large pot of boiling water, cook the bucatini until al dente (about 9-10 minutes). Drain, but reserve about 3 Tbsp of the cooking water. 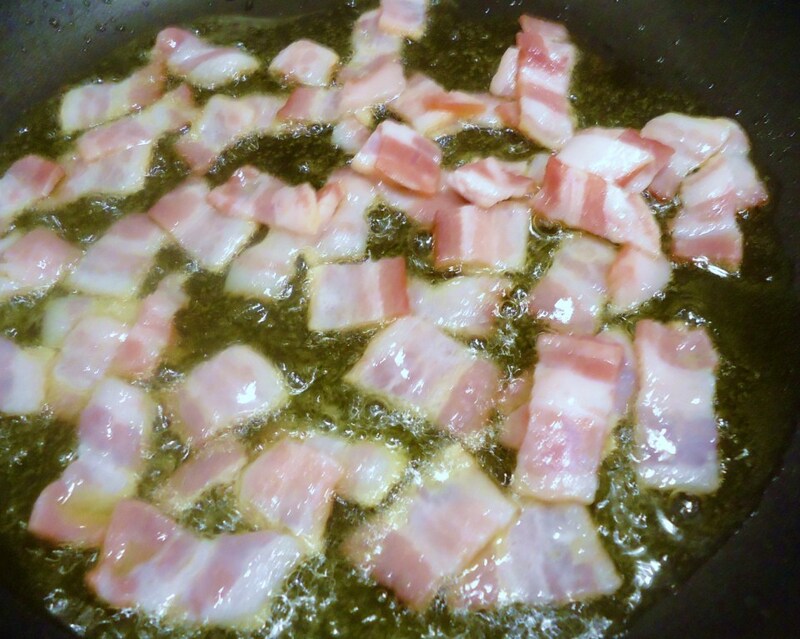 Add the bacon and cook over moderate heat until most of the fat has rendered out (maybe 7-8 minutes). Add the shallot, peppers and garlic and cook for an additional minute. Add the cream and simmer over moderate heat until the sauce is slightly thickened (maybe a couple of minutes). 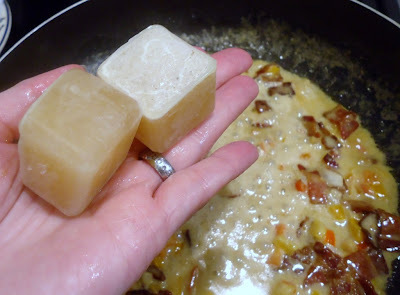 To add volume and flavor to the sauce, I added a couple of frozen chicken stock "cubes." 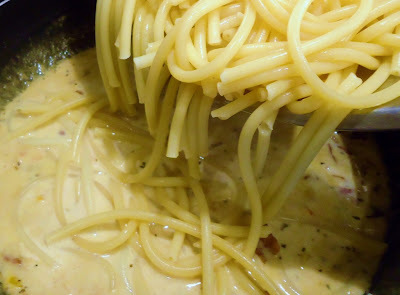 Add the hot, drained pasta to the sauce and stir to coat the noodles. 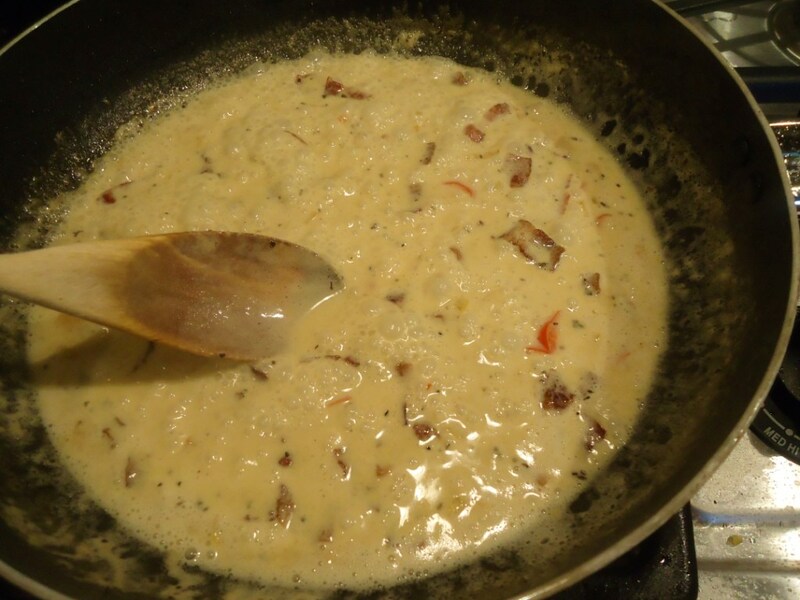 Stir in the reserved cooking pasta cooking water and the grated cheese. Add the egg yolks to the hot pasta. 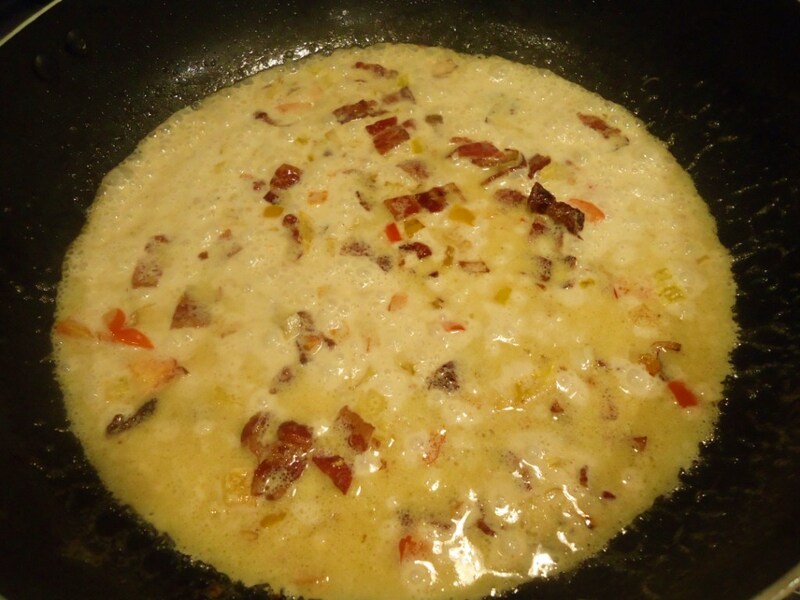 Serve with more grated cheese for each portion. 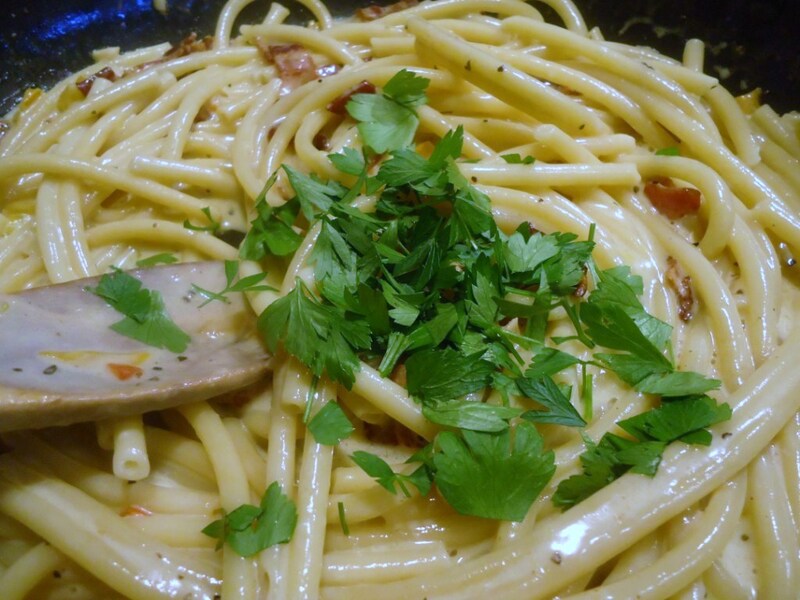 Bucatini is a thick spaghetti-like pasta with a hole running through the center. The name comes from Italian: buco, meaning "hole", while bucato means "pierced". 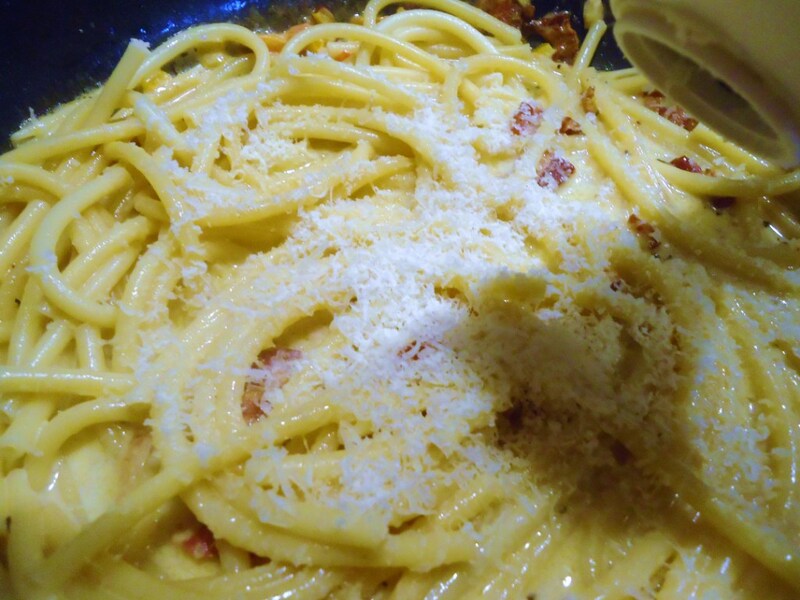 Pasta alla carbonara (usually spaghetti, but also fettuccine, rigatoni or bucatini) is an Italian pasta dish based on eggs, cheese (pecorino or Parmesan), bacon (or pancetta), and black pepper. The dish was created in the middle of the 20th century. 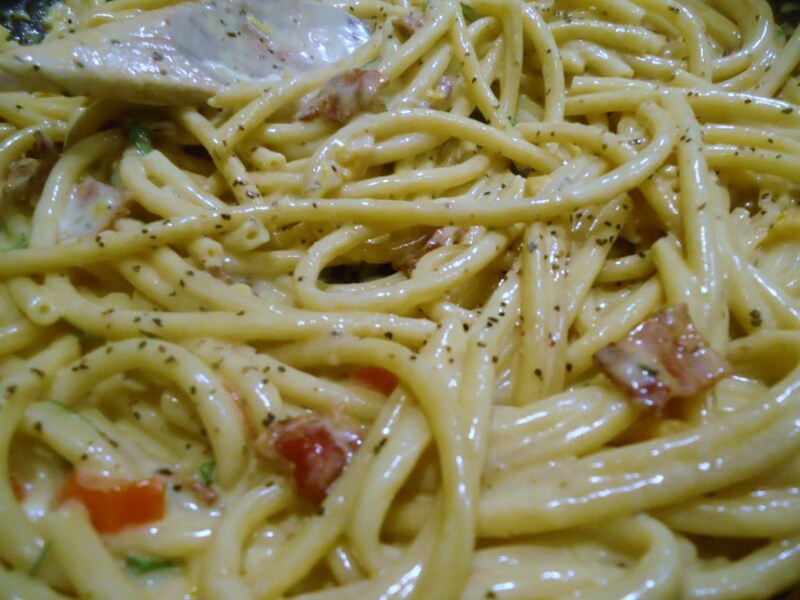 Carbonara is unrecorded before the Second World War. 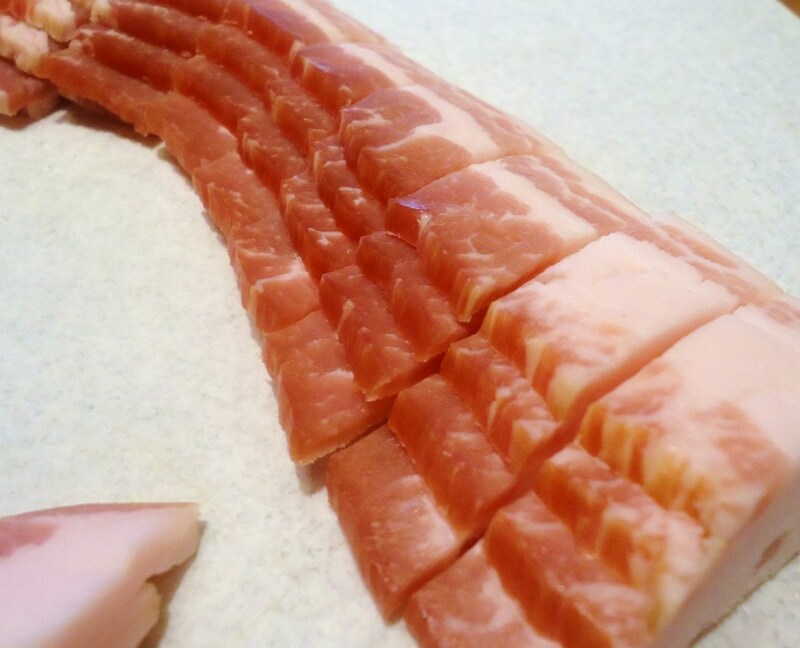 It was first described after the war as a Roman dish, when many Italians were eating eggs and bacon supplied by troops from the United States. 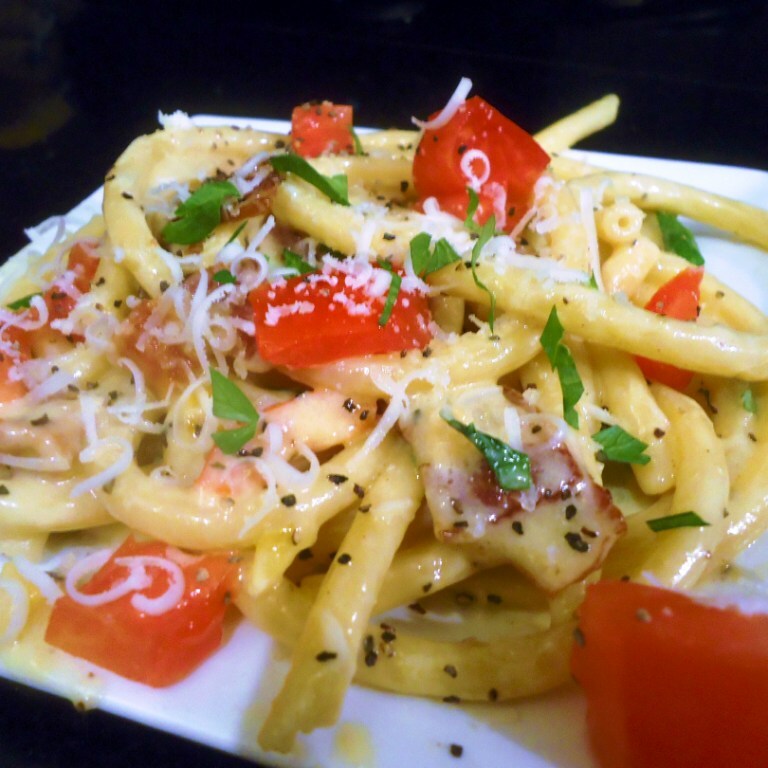 More recently, a restaurant in Rimini has claimed the original recipe was born during WWII. Powdered eggs and milk, along with bacon, were standard issue for the American troops and were widely used for bartering with the population. 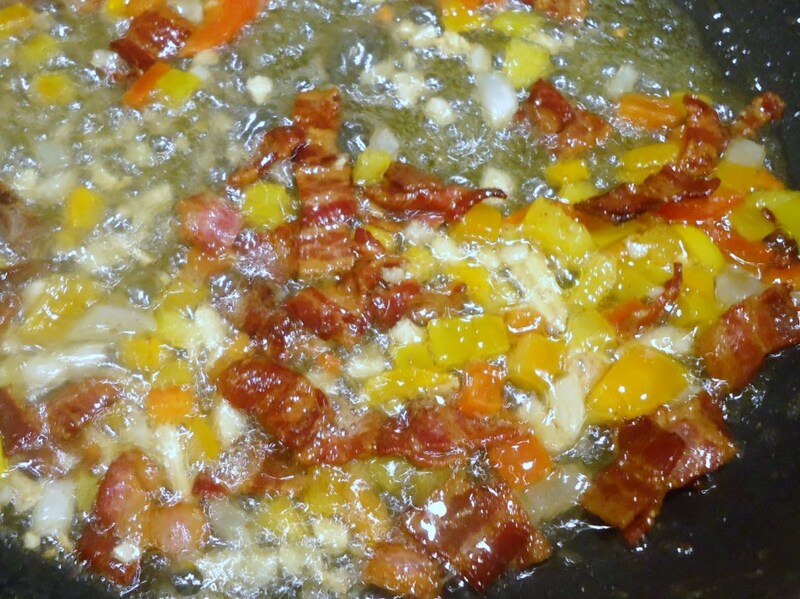 Italians would use those ingredients and pepper to make the sauce. The dish became popular among American troops stationed in Italy; upon their return home, they popularized it in North America.